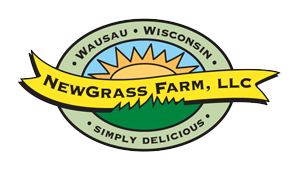 At NewGrass Farm we are dedicated to providing you with great tasting AGA certified grass-fed beef that fits within your beliefs and helps you fit within your belt-line, and your budget. To do so, we raise and finish our cattle in a natural way, on well-managed pasture and high quality hay. If you are new to our grass-fed meat, we hope it will change the way you eat and think about meat, when you realize that it's both good for you and actually improves the environment. Raising our livestock on diverse, well-managed pastures keeps them in peak health, so that you can eat healthy too. In addition, it allows us to produce great tasting meat without compromising the environment. By purchasing from NewGrass Farm, you can nourish your family, and be part of revitalizing the land and local economy, at the same time. Pleasant scenes, such as the one above are an added benefit to the way we farm. When you purchase meat you are shaping the future landscape for you and your children. Would you rather live next to this or a feedlot? Choose grass-fed, instead! From NewGrass Farm.